 At Seattle Central College's Health Education Center, we promote safe, hands-on, comprehensive healthcare training with a commitment toward high-quality education and applied learning through innovative programs for healthcare workers. Contact us about promoting internship, apprenticeship and job opportunities for our students and alumni. In addition, Career Hub allows employers to post jobs or internships, connect with talented young professionals and engage on campus. The Health Education Center partners with local organizations to help our students apply their skills in healthcare by serving our community. Contact us for more information.